Statement of Purpose. The mission of The World Prayers Project is to improve human relations by celebrating the many forms of prayer and honoring the benefits of spiritual, cultural and natural diversity. The World Prayers Project is a nonprofit, educational, public service organization whose founding objective is to gather and present historic and contemporary World Prayers in a unified, multifaith archive on the Internet. As the global community draws closer together, it is increasingly essential to resolve cultural conflicts and misunderstandings and to more fully appreciate the great wisdom, beauty and intelligence found in the diversity of world traditions. Our organization is committed to shape this prayer collective into an educational and inspirational resource for the human family. All life affirming spiritual, cultural and ethnic traditions are invited to participate. Thousands of prayers a day are being sent across the digital network from our website to people visiting from over two hundred nations and territories. As the Internet and its supporting technologies become available to more and more people throughout the world, so will our sphere of positive influence expand. Preserve an historical anthology of World Prayers in a global database. Provide an unbiased educational resource for comparative studies. Inspire cross cultural appreciation & understanding. 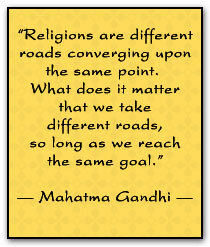 Promote interfaith dialogue & religious tolerance. Urge international cooperation for peaceful solutions. Affirm the right to freedom of belief for all people. Provide a free inspirational resource for those in need. Explore the use of Internet technology for global benefit. Encourage the expressions of love, compassion, mercy and joy. To increase the size of the prayer archive 20 fold. To organize a complete bibliography of the prayers & sources. To translate the archive into the primary world languages. Nonprofit Status. The World Prayers Project is a 501(c)(3) nonprofit public charity registered in the State of California, USA under the name PROJECT WORLD PRAYERS. All USA donations are tax deductible.